Vegetable shares will be available in a couple of weeks. You can sign up now to secure your spot. Read all the details on our online listing (here), but here is a summary. Going out of town? You can put your share on hold while you are gone. 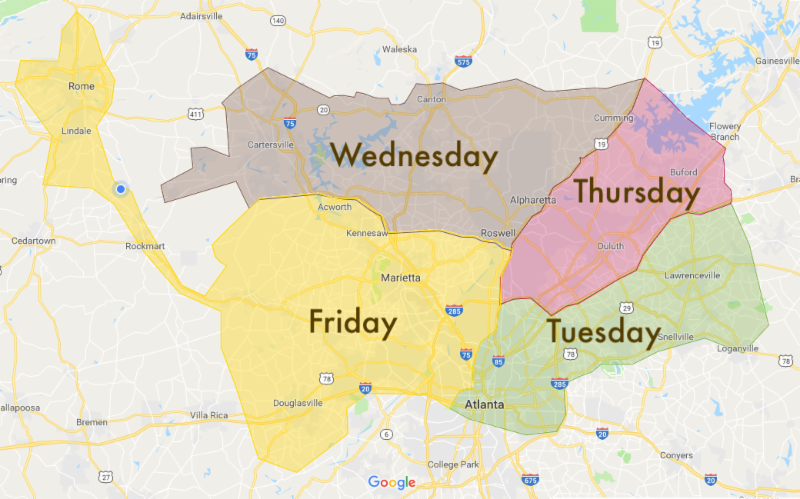 Home delivery map: More details listed below the map. NO Deposit charges - We will still request that you send back your home delivery coolers for re-use, however we will not be charging a deposit. We think being environmentally responsible is incentive enough. 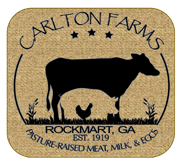 We'll leave your order in your cooler with ice packs - If you just don't want to keep up with the delivery cooler until your next delivery, you can now leave a well marked cooler with ice/ice packs. We will transfer that order upon delivery. Please leave "driver notes" in your account if you want to use this option. Prime Membership: We saved the best for last. 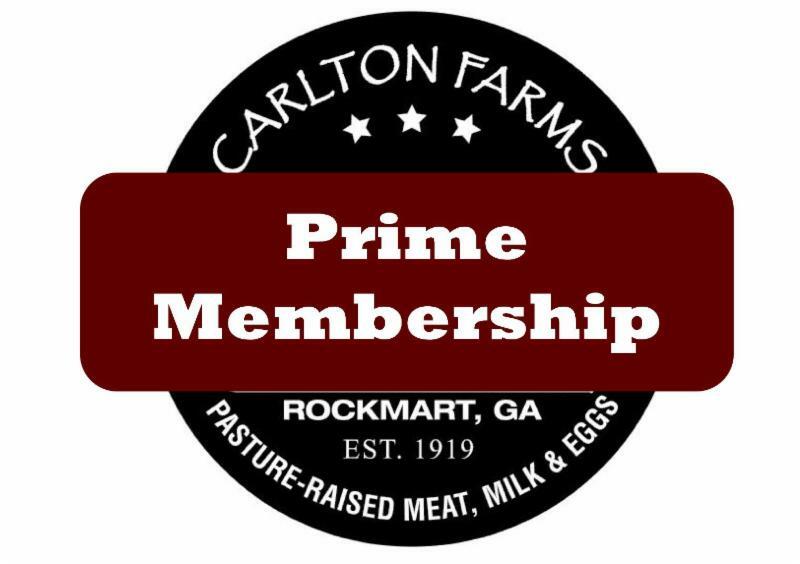 You can now become a Carlton Farms Prime Member. For $99 per year, you can receive: Free delivery ($25 Min. 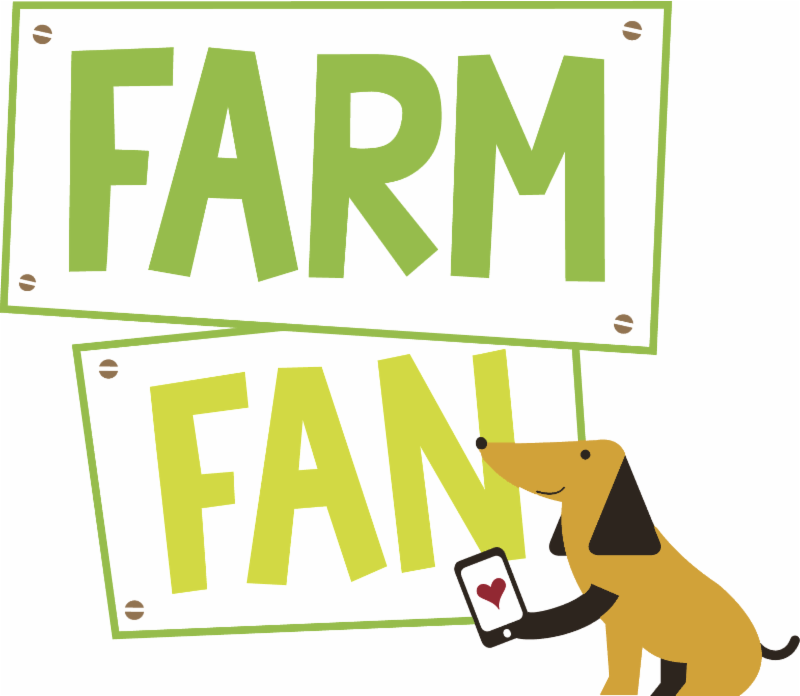 order), Early Access to new products, Insulated Bag, and Farm Activity Discounts. Wren is perfectly comfortable hanging out with the chickens. She seems to enjoy them even more than Jersey or Atticus did at that age. A few months ago we were able to purchase a small farm that we had been renting for many years. I'm sure I will post lots as we clean up that property and bring it into the fold. We have ran cattle on in for several years, but there is a limit to the amount of improvements you can make to rented land. Soon it will be fully integrated into a intensive rotational grazed oasis of pasture, with layered multi-species seasonal production including cows, sheep, chickens, turkeys, and ducks. That's where this picture comes in. 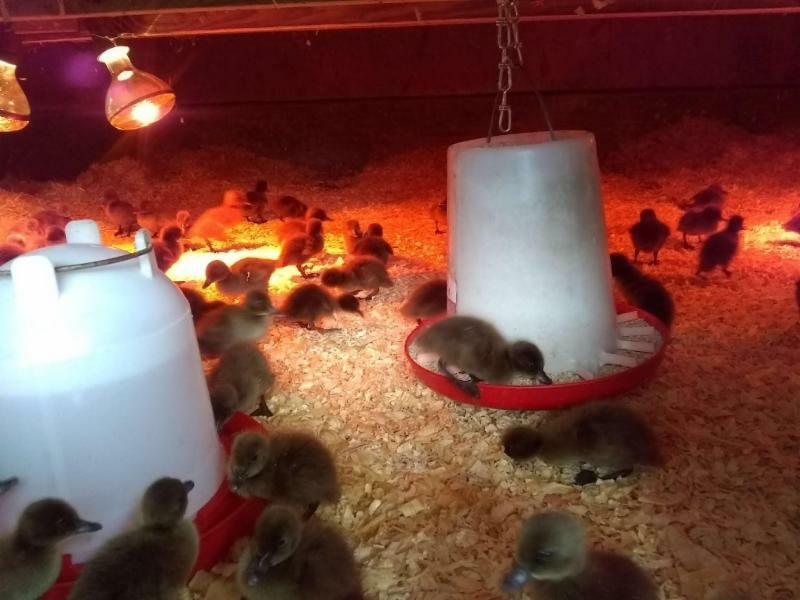 We now have in the brooder the ducks that will eventually live at the pond on the new farm. 125 Khaki Campbell ducks will be providing duck eggs for your enjoyment. These things are very cute, so i'm sure more pics are sure to follow.